We are excited to be part of BFT and are organizing our own fashion show which will present our new capsule “Awareness is Resistance”. Through this show we are aiming to draw further attention to our movement and encourage people to join our community. 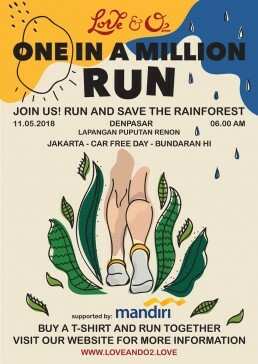 Through support through Mandiri, Love and O2 has managed to gather hundreds of thousands of people who will engage in our One in a Million Run.  The run is mostly virtual in order for people all around the world to join in. Anyone can sign up to a series of coordinated virtual runs from anywhere in the world, with prizes awarded to top performers. An entry fee will be charged which will cover the cost of a t-shirt for each participant, as well as a park maintenance contribution. 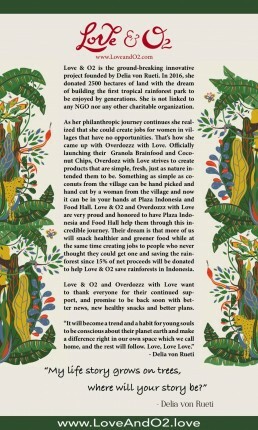 Love&O2 in collaboration with 99 Virtual Race invite all runners across the Indonesian archipelago. 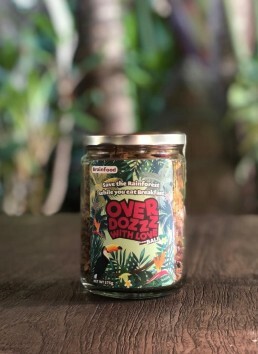 The money raised from the run will plant trees in the tropical rainforest park in Central Kalimantan. 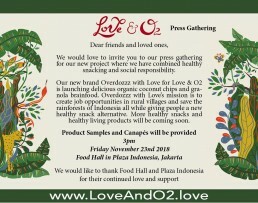 Love&O2 in collaboration with 99 Virtual Race invite all runners across the Indonesian archipelago. 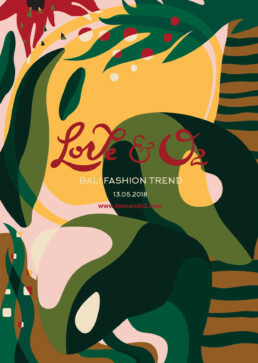 The money raised from the run will plant trees in the tropical rainforest park in Central Kalimantan. Different rewards are given according to distance travelled (5K,10K,HM). From 06:00 ... Join in our two locations for in Denpasar - Lapangan Puputan Renon - and in Jakarta during the Car Free Day - Bundaran Hi. The money raised from the run will plant trees in the tropical rainforest park in Central Kalimantan.